Some tanks you just don’t like. With every match, you feel more and more disgusted, because that lumbering piece of steel stands stubbornly in your way to a more promising tank. But you are closed in together, and you have the time to start admiring the unexpected qualities. In the long run, you might think, hey, the ride wasn’t that bad after all, but my eyes still hurt, when I see a KV-4. Especially, when it looks like, it was put together from leftover pieces on the scrapyard of the KV design-bureau…Here it comes, the KV-4 protection report. Announcement: Thoryne is on holiday for a week, so you have to settle for my hasty, Level1 Paint skills for a while. As soon as he is back, the armor schemes will be redrawn. Now I did not want to hurt the feelings of the KV-fan club. 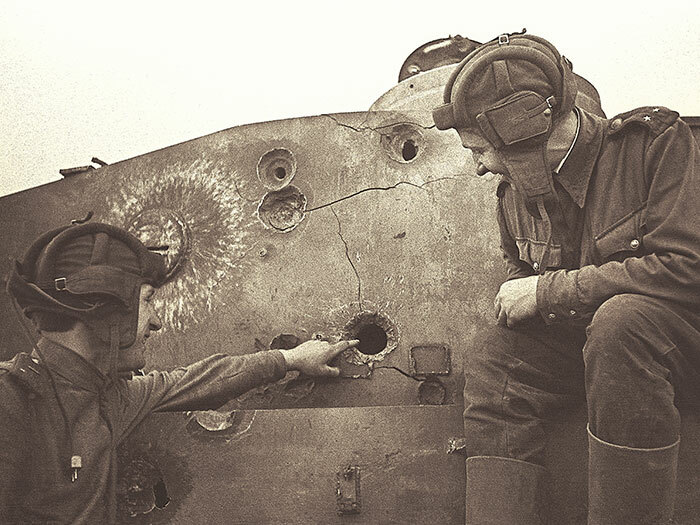 I always had a soft spot towards the furnace-like turret of the KV-2 and its stove-pipe. Even so, the KV-4 looks odd at best, and this has something to do with the turret, because the hull is conventional to KV-terms, only as long as a locomotive or a torpedo-boat… But one thing is sure, the designers had not real warfare in mind, because the construct is flawed, in WoT, too. Under real frontline conditions, even normal KVs could not be kept in running order on an acceptable level (the transmission just never worked out itself). Heroic tales are told about braveheart tank commanders and bridges blocked for days before the advancing Germans. 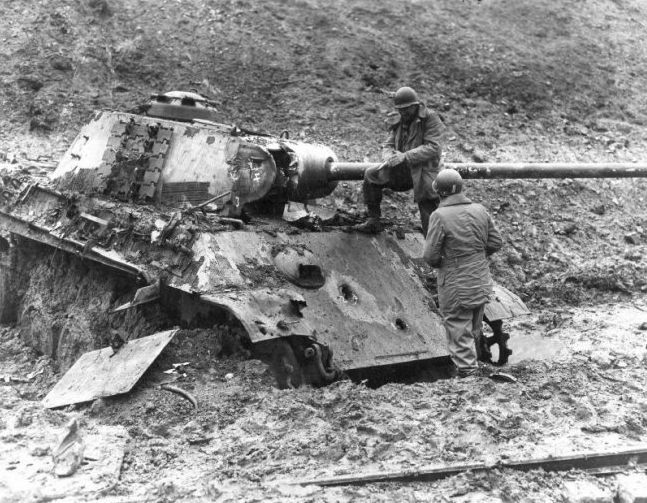 Right, they were valiant, no doubt, but their tank had a mechanical breakdown actually. What did those brilliant minds think, that a two times heavier, clumsy beast will up to the job? The “KB-4” was never built, probably for the better. 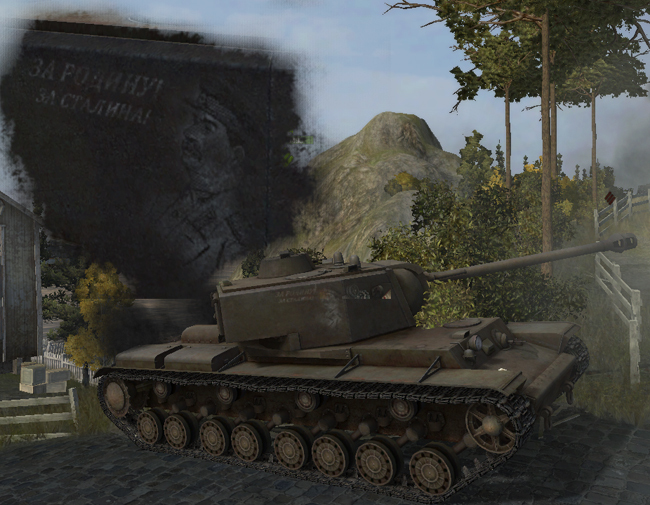 The KV-4 is a typical filler tank. The grinders are probably seeing the likewise unusual, but more effective ST-I. Basically, it fits, that Russian heavy tank line is about slower, bunker-like models with better all-around armor. And the WG does not make the lives of the players easier, unique engine and gun (of course you need the turret for it – EDIT – in final 7.4, not anymore). The latter can not be used later on the ST-I! But until then we have to do with the old 122mm D-25 or 107mm Zis-6, and anyone, who has grinded the IS-3 knows, how pain it was until the BL-9. Now imagine a much less mobile tank with next to nothing flanking options and sub par armor, because the protection is, where the KV-4 is flawed. This entry was posted in KV-4, Russian armor and tagged how to angle KV-4, KV-4 front armor, KV-4 miniturret, KV-4 new gun, KV-4 shot trap, KV-4 tactical guideline. Bookmark the permalink. how the 2nd turret can have same immunity all around mantle? it’s mostly “circle-sloped” on the model, does it mean that hitbox is all vertical just like area below mantle? also could you do first turret update? by numbers it’s got better frontal armor and smaller weakspots, it’s good alternative. but in 7.3 it’s mantle seems bugged, it’s penned by PzIV (hits close to gun mount). Good question, we shot the whole surface. We can do the first turret, just we are bit above our heads. In a day or two. btw great job, i follow every new report, apart from detailed tests it’s a great read too. thanks a lot. – Angles of vertical aiming of 107 mm ZIS-24 gun on top turret increased by 6 degrees. Its a fantastic brawler against same tier and below tanks imo. I had a match on one of the new maps in 7.5, i was facing head on, close quaters, back against the wall against 2tigers, 1 tigerII, 1vk, 1arl and a kv1s. The hull stood amazingly well bouncing shots from all the tanks at least once. I was basicly playing live bait. Managed to dispatch the whole lot with help from team camping at home base… For a moment i really thought i was invincible. Funny thing is, this wasnt one of those lucky games. On average, 7\10 matchs that i played, i get a decent game where i kill one or two or compeletly decimate the other team. Im actually more comfortable goin into tier 9 an 10 heavy matches then facing arty of any tier because for some really odd reason, i get 1shotted by arty or jacked up more badly then i shud…. That to me is the kv4’s main prob. Maybe its a trade off for thicker armor i guess.